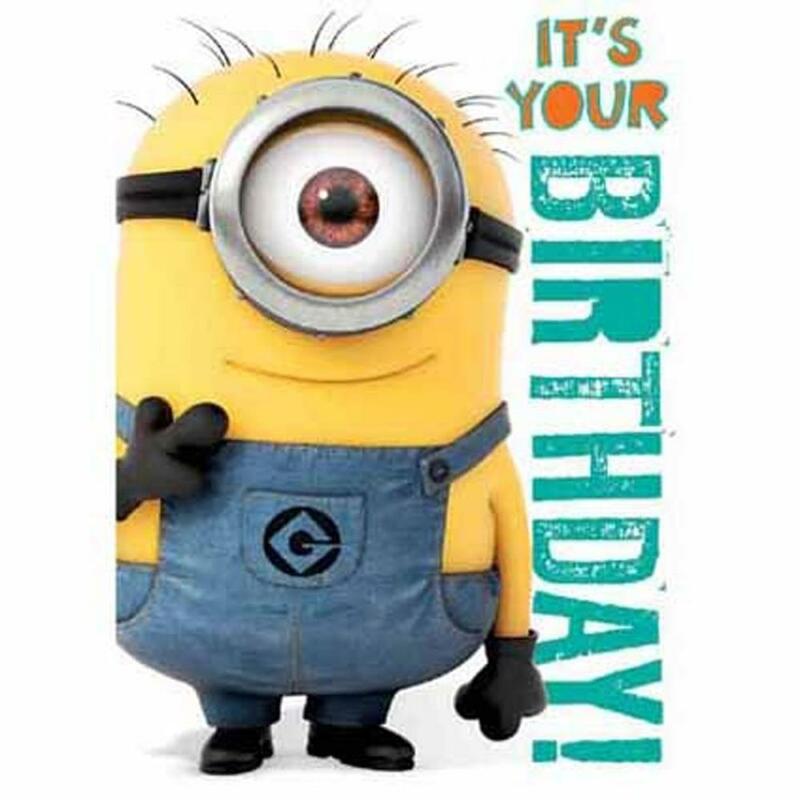 Minions Birthday Sound Card | Minion Shop. The cover of this Minions birthday card features Stuart alongside wording “It's Your Birthday". When you open the card the message continues “Have an Awesome Day" along with a giggling Minion sound!